Product prices and availability are accurate as of 2019-04-20 08:20:47 UTC and are subject to change. Any price and availability information displayed on http://www.amazon.com/ at the time of purchase will apply to the purchase of this product. "There’s no such thing as a perfect image–only a perfect moment," says Joe Buissink, one of American Photo’s Top 10 Wedding Photographers in the World. In Wedding Photography from the Heart, the premier photographer gives us an inside look at how he captures the feeling of a couple’s wedding, seeing the moments from their perspectives and hearts. Here, for the first time, are more than 150 of his stunning images–including many from celebrity weddings–accompanied by creative techniques, inspiration, and unparalleled advice. Joe brings us into his creative process, emphasizing "learning to see"–training yourself to anticipate the moments that matter–and, most important, developing a relationship of complete trust with your clients. His goal is not necessarily to take technically perfect photos, but to capture the right moments, transforming intimate, emotional memories into timeless images. 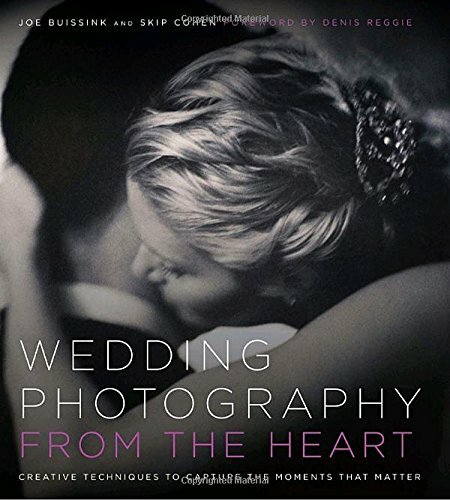 A must-have for all professional, semipro, and aspiring wedding photographers–as well as brides and grooms looking for inspiration–Wedding Photography from the Heart reveals how to create wedding photographs that will, even decades later, capture the joy of a couple’s wedding day.